I am here to RAVE and scream about how much I loooovvvvve Mario Badescu's Vitamin C serum. This is one of the top secrets to glowing! Yes I said it! 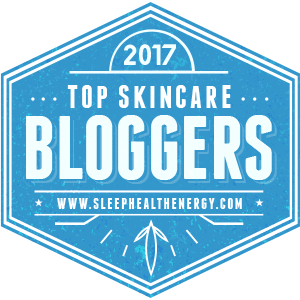 Okay, let me stop jumping the gun with my excitement and leave you a good and honest product review on this amazing serum. According to Mario Badescu, this Vitamin C Serum contains 7.5% Ascorbic Acid (Vitamin C) to reduce discoloration and brighten the skin. Formulated with Hyaluronic Acid to retain skin's natural moisture and Collagen to enhance skin's firmness and elasticity. Did you see why I love it so much, It has my favorite thing: COLLAGEN! Main Ingredients: 7.5% ascorbic acid, hyaluronic acid. How to use it: Apply 3-5 drops on your hand, rub it between palms to activate the ingredients, then press it into your skin. Best used every other evening after using your toner. Wait a minute or two for it to soak in before applying moisturizer over it (if you like). Price: It is sold at most places for $45. If you catch them at an event, like I did, it is 10% discounted at trade shows. My Experience: When I first learned of how great Vitamin C was for the face, I knew I had to start off with a brand that I was comfortable with. 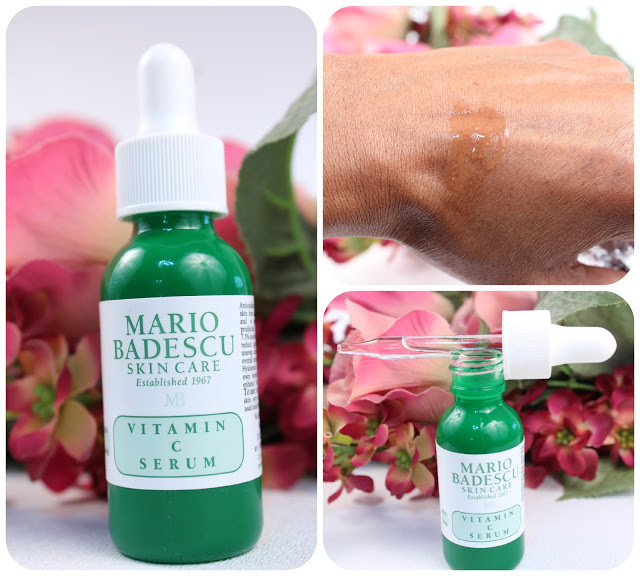 I went to an event where Mario Badescu had a stand and with all the products available, the vitamin C serum stood out to me. Most of the Vitamin C products I had come across where so expensive, but I figured if I start it should be a serum because its highly concentrated and I would see results faster. After a week of using it every other night, I immediately started to see my face brighten up. Even my complexion started looking rich and I had an instant glow. The most noticeable effect of this serum is the rejuvenating and radiant glow you get the morning after. Even till now I'm still surprised by how every time i use it, the results just keep getting visibly better. My skin appears much smoother, healthier, brighter and plump. I have been using this serum for over 6 months now. I used it during the process of clearing my acne and I used it while getting rid of the black spots. Now I'm acne free, I still use it because it works wonders. GLOWING! If you have sensitive skin, I suggest you start with one drop as this product seems to be highly concentrated. Who should use it: Anyone with dull, tired looking skin, if you want brighter &smoother skin and need hydration that lasts all day. The bad News: Not good for people with Oily Skin because you might come out extra shiny. But besides that theres no bad news here! Final Verdict: Im sure you already know what I'm going to say... Yes! I loveeee this product. It is very effective and a great anti-aging serum to use at night. 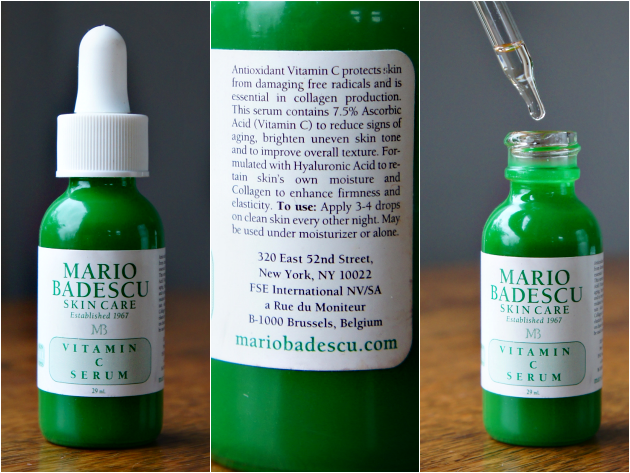 I never was big on serums until I started using this Vit C serum. The results the next day is so radiant, you can actually see how your skin looks more vibrant and awake. Even though the bottle is small, it actually goes a long way. I have had mine for over 6 months and I think I'm just getting to half (mind you my sister uses mine atimes too). For the price, the longevity and results make it worth it! I give this product THUMBS UP! Hope you liked this review, would love to know what your experience with vitamin serum has been like. Comment below! vitamin c serums really do work wonders. 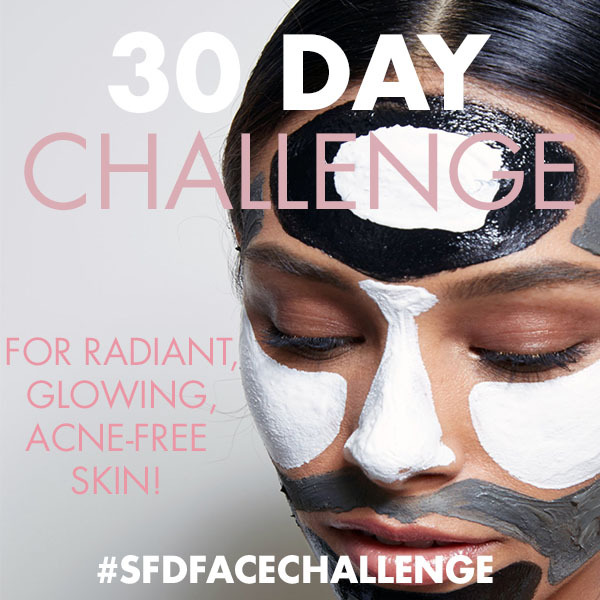 i tried a different brand and it virtually erased my acne scars in 1 week! YASS!! What brand? Pls Share! would love to try it out! I absolutely love(d) Drunk Elephants C-Firma. The texture and glow are amazing, even for my dark complexion. The only downsides are price $80 and how fast it oxidised. I have been searching for a Vit C serum. I will give this a try and keep you posted! Did it work on healing my acne scar as well ? The job profile of Mario is changed from carpenter to plumber in the year 1983. Let us hope that Nintendo keeps the Mario fans happy with its classic new Mario games.